A mysterious disease is causing outbreaks that could easily spread across the world. 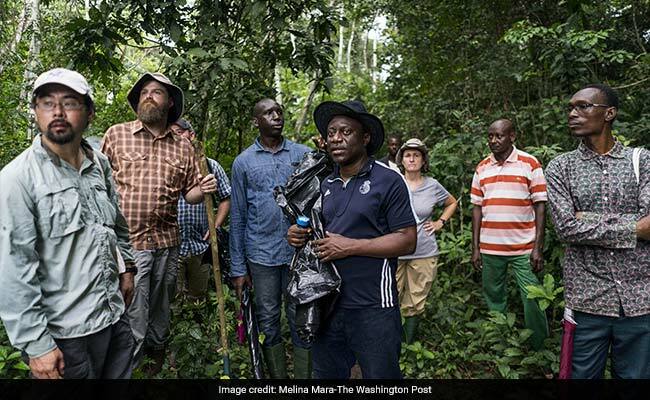 Manfouete, Congo Republic: Along a narrow, winding river, a team of American scientists is traveling deep into the Congo rain forest to a village that can be reached only by boat. 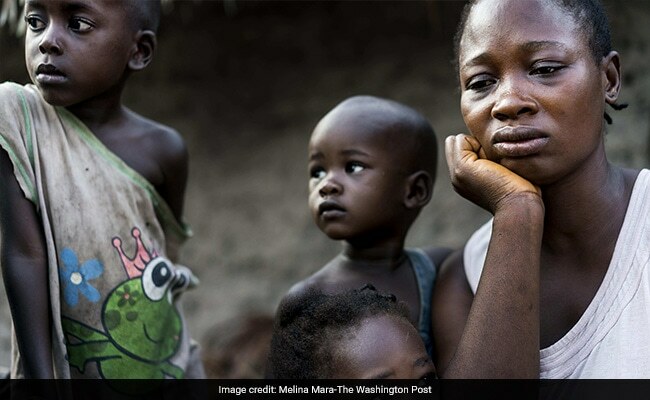 In Congo Republic, many suspected monkeypox cases trace back to the village of Manfouete, a six-hour boat trip from the nearest airport. The village has 1,600 people, no electricity and no running water. The scientists are traveling upriver in a big motorized boat that looks like an open-air school bus. They must bring everything they need for their work. So a second boat - a long, wooden dugout canoe - will follow later carrying most of their supplies: boxes of traps and test tubes, a portable centrifuge, jerrycans of gasoline, a 25-kilogram sack of rice and lots of bottled water. "Mbote! Mbote!" - Hello! - children shout from the riverbanks. Biologists Jeff Doty and Yoshinori Nakazawa, part of the CDC team, wave back. A team from the Center of Disease Control researches the MonkeyPox virus. Some people were infected while caring for sick relatives. Others became sick through contact with wild animals or while hunting or preparing this critical source of protein in the local diet. But scientists don't know which animals carry the virus. So in August, the CDC dispatched an ecological investigation team from Atlanta to try to find the sources. In addition to Doty and Nakazawa, the mission includes a third biologist, Clint Morgan, and Jennifer McQuiston, deputy director of the CDC's Division of High-Consequence Pathogens. The biologists are the core team. Doty, 39, is outgoing, with a wry sense of humor. He has learned enough Lingala, a local language, to converse easily with villagers. Nakazawa, 38, is the boss on the mission. More reserved, he speaks five languages, including French, Congo Republic's official language. Morgan, 26, is the team's junior member, making his first trip to Africa. In Impfondo, they completed their shopping at the town's sprawling market under a relentless equatorial sun. Doty checked items off a handwritten shopping list: Generator. Power strips. Hammer and nails. Shovels and machetes. Rubber boots. Plastic buckets. Canned corned beef and dried beans. Soap. Toilet paper. On the first full day in Manfouete, everyone on the team is up before dawn. There's still no sign of the wooden dugout. Doty, normally unflappable, scans the river anxiously. Maybe the motor broke down, he says. Or the boat drivers were robbed. There's no way to communicate with them. Logistics are difficult for field research like this. On a previous mission in neighboring Congo, Doty says, a planeload of supplies didn't arrive until the second-to-last day. On another investigation in Congo, the team's only truck hit a motorcycle and plunged into a river. After two hours, the dugout appears, and the work begins in earnest. Supplies are unloaded, bucket-brigade style. Men from the village are hired to build a makeshift laboratory by cutting bamboo from the forest with machetes and wrapping tarp around the fresh-cut poles. The village secretary's wife is hired to cook one daily meal: rice and beans, fish stew and roast goat. Hunters are hired to lead the way into the forest to set the traps. "This is very labor-intensive," McQuiston says. "Yeah, this is not my favorite kind of trap," Doty agrees. The hunters want to place the wire cages near large dirt mounds at the base of some trees - potential dens of giant pouched rats. Known as "motomba," the animals are a leading suspect as a monkeypox host. "It's the ecology of how the virus is being circulated and transmitted, because you find out what the animals are doing and how they're doing it," Doty says. "Ecology is more complicated than rocket science." Some of the metal traps are also empty; others are full of ants. But then Doty comes to a box next to a fallen log under a canopy of leaves. He keeps it at arm's length as he lifts it and gently presses the trap door. "Esimbi!" he calls out in Lingala. Success! After about two hours, the scientists regroup and compare notes. The day's catch: 13 rodents, mostly shrews. No giant pouched rats, but the majority of traps have yet to be set. "It's a good start," Doty tells Nakazawa. "Not bad," Nakazawa replies, his ponytail bobbing in agreement. "We'd like to get 250," Doty replies. "But if we get less, we're still happy." A villager shows up seeking help for his two sick sons. The young men, 17 and 19, have lesions on their bodies. One also has a fever and swollen lymph nodes - signs of a pox infection. Using sterilized needles, they scrape tissue from the teens' lesions. The 17-year-old says nothing, but his lower lip trembles. "I'm afraid that maybe my children also can die," she says softly. For each animal, the procedure is the same: The trap number is recorded. The trap's GPS coordinates, captured separately, will permit scientists to pinpoint the homes of animals that test positive. Creedence Clearwater Revival is playing on Doty's iPhone as he examines one of the rodents. "Adult, scrotal male," Doty says. "Length, 209; tail, 84; foot, 18; ear, 19; weight, 44." "Is it a rat?" Nakazawa asks through his respirator. "Not sure what it is," Doty replies, peering closely at the animal. Its tail looks as though it was cut short, maybe from disease. "Have you seen any lesion-like things yet?" Morgan asks. "We had never seen anything just like this before," Doty explains later. It's possible the lesions are from wounds in a fight or from a parasite. The scientists won't know for sure until the samples are tested back in Atlanta. "It would be great if it's monkeypox," Nakazawa says. "Merci," the scientists shout as the boats pull away. "A la prochaine! Until next time!" And then they're gone, bearing the liquid nitrogen tank and the hope that, somewhere inside it, lies an answer. After Indian Trooper Wounded In Congo, India Warns UN On Peacekeeping "Tragedy"